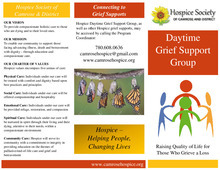 Download "2019 Volunteer Training .pdf"
Download "HSCD placemat Nov 9 2017.pdf"
Located at the HSCD office in the lower level of the Mirror Lake Centre, our resource library is a one-stop shop for topics related to palliative/end-of-life care, grief and bereavement, and caregiver concerns. 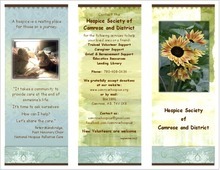 Browse books, DVD’s, and pamphlets for adults and children. No registration or fees are involved. Simply fill in the library clipboard with the material title, your name and contact info, and the date borrowed. And no late fees – keep the materials as long as you need them, and return them when you are done. What is a Green Sleeve and What Goes In It? Think of it as your “Medical Passport”. The Green sleeve is a plastic pocket that holds important Advance Care Planning documents and other forms that outline a patient’s goals for health care. 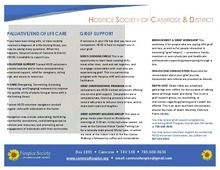 It is given to patients cared for in AHS who have had discussions, or completed documents, that refer to decision-making about their current or future health care. 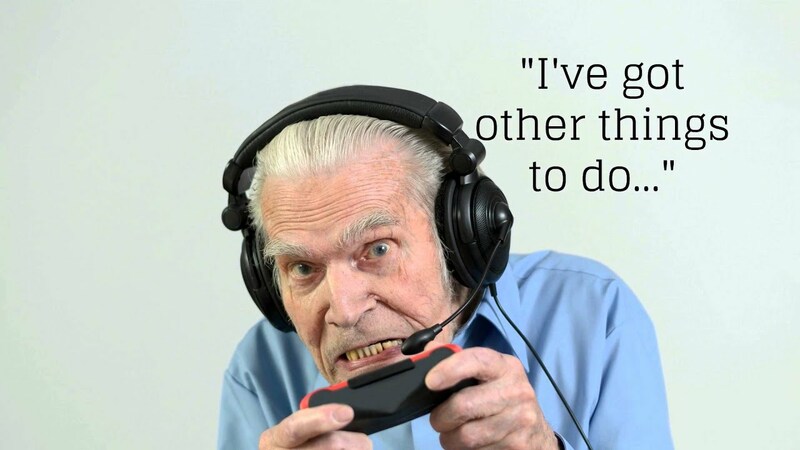 Advance Care Planning - What's Your Excuse? This is author and grief therapist David Kessler's rich website. 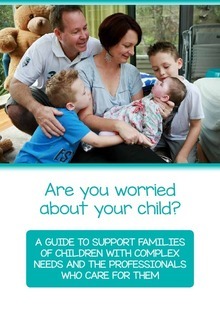 A guide to support families of children with complex needs and the professionals who care for them. Delirium is common. It is a disturbance in brain function that can happen when a person is medically unwell. Delirium is a state of confusion that comes on very suddenly. 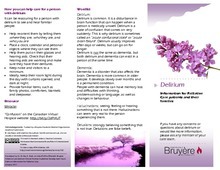 Download "Delirium info sheet_Feb23_2017_fontsize12 MK_SB.pdf"
Rituals can help you and your family get through difficult times. Gathering together as a family to take part in a specific activity is one way to bring people together meaningfully. 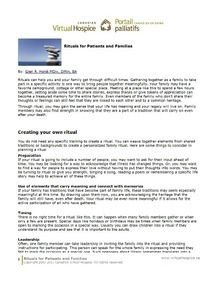 Download "Rituals for Patients and Families.pdf"
Summary of the HSCD palliative care program. 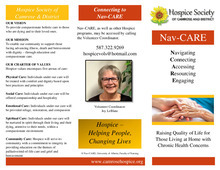 Download "Palliative Care Brochure- revised Sept 2017.pdf"